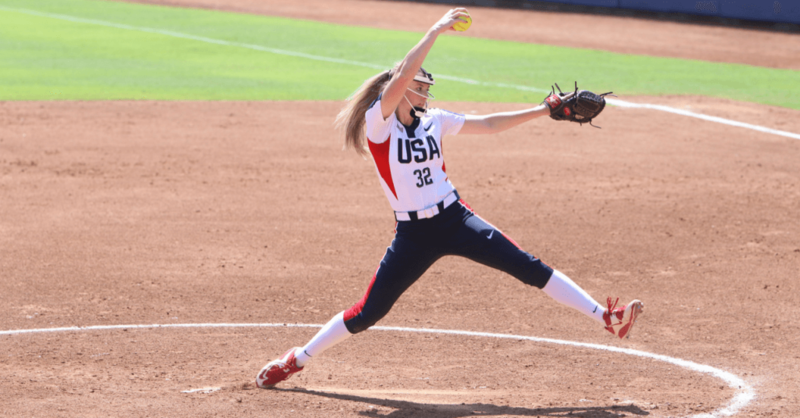 Katheryn pitching for the 2017 the USA Softball Jr. National team. Photo: USA Softball. Kathryn Sandercock’s softball journey has been a unique one with its share of successes. She started in Little League and pitched in the Little League World Series (LLWS) Championship game; became the Virginia High School Gatorade Player of the Year as a junior; competed on one of the East Coast’s elite travel teams, Virginia Glory – Mertz; recently became a two-time Junior Women’s National Team (JWNT) member; and is now a freshman for coach Lonni Alameda’s reigning Women’s College World Series Champion Florida State Seminoles, who are about to begin their season this Friday in the Joanne Graf Classic at FSU. Last fall Sandercock joined her FSU teammates on campus as a freshman and her new head coach, Lonni Alameda, told Extra Inning Softball earlier today that when Sandercock first approached her about playing for FSU a few things caught her attention. Florida State Head Coach Lonni Alameda says Kathryn's ability to be loose and yet focus when needed made her a good fit for FSU. Photo: FSU Softball. 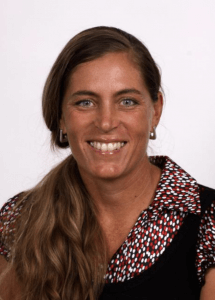 Coach Alameda is not sure yet where Sandercock will fit in as a freshman for the reigning Women’s College World Series Champions, but she is glad to have her in a deep stable of pitchers this season. Sandercock has just accomplished a rare feat: she was just named to her second stint on the Junior Women’s National Team, having made the team again in the first week of January. 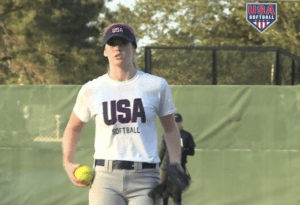 Kathryn says wearing the "USA" on her jersey is one of the thrills of her softball life. Photo: USA Softball. The athlete remembers her first experiences with the Jr. National Team.